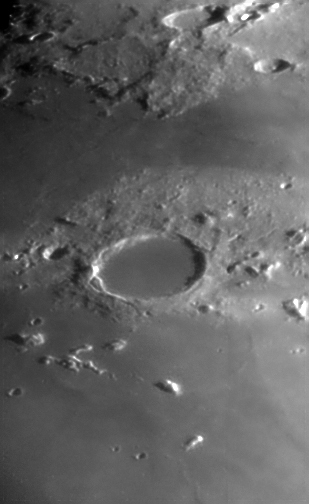 This is a shot of the Crater Plato from a nine day moon taken at f/20. It is a four frame mosaic. Each frame is a median combine of 12 frames.